Though Rocket (Bradley Cooper) taking a liking to Bucky's (Sebastian Stan) shiny new Wakandan arm is without question his funniest moment, his best scene is actually opposite Thor (Chris Hemsworth) as the pair, along with Groot (Vin Diesel), head to Nidavellir to acquire a new weapon. Rocket decides to "play the captain" and sit down for a brief heart-to-heart with a clearly morose Thor, asking him about his various other family members and friends who might still be alive in the wake of Loki's (Tom Hiddleston) tragic demise. 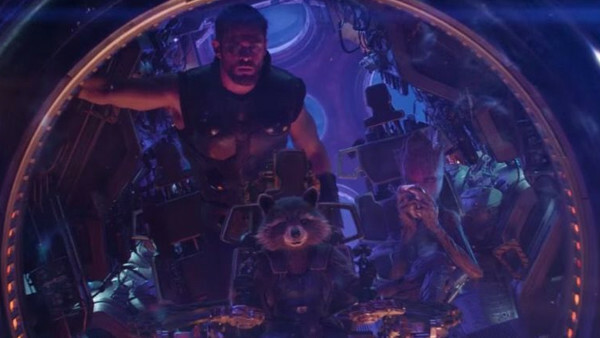 All of them, of course, are dead, giving Rocket little to play with, as he asks Thor if he's truly feeling up for the Thanos-killing mission, to which Thor not-so-convincingly replies in the affirmative. It's a scene both hilarious and heartfelt, with some cracking one-liners ("He's never fought me twice") and terrific interplay between these two characters, with Rocket getting a rare opportunity to exert some level of compassion and responsibility.